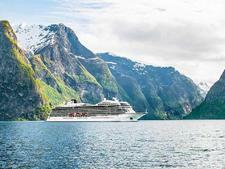 Viking Ocean Cruises, the coastal cruising company that's a sister to Viking River Cruises, debuted in April 2015 with the launch of its first ship, Viking Star. Blending facilities found on ocean ships and also adding touches that are distinctly river oriented, Viking Ocean Cruises is growing rapidly, launching one or two nearly identical ships every year, with options for new ships through 2027. On the ocean cruise ships, there are 11 dining venues, a Nordic-influenced spa, two pools (one with a retractable glass roof and the other, located aft, with an infinity edge) and numerous cocktail lounges. Other features include a promenade deck that wraps all the way around the ship, a top-deck Explorers' Lounge with nearly 360-degree views, and a fitness center and sports deck. 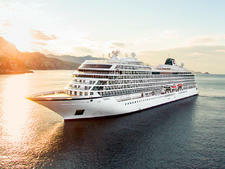 Almost as notable are the amenities Viking Ocean Cruises' ships will not have: casinos and a kids clubs. All cabins have balconies and, with a standard size of 270 square feet (including the balcony space), they're larger than the industry average. Larger accommodation categories include the 338-square-foot Penthouse Veranda, 405-square-foot Penthouse Junior Suite and 757-square-foot Explorer Suite. Like its river brethren, Viking Ocean Cruises' ships feature the popular Aquavit lounge and terrace for alfresco dining and cocktails. The ocean ships also have a similar Nordic design theme, which emphasizes natural woods, naturally lit spaces and contemporary decor. Other shared traditions include complimentary onboard Wi-Fi, a selection of included-in-fare shore excursions, and free wine and beer with lunch and dinner. 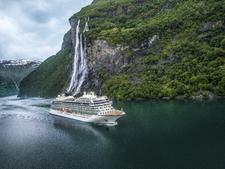 Viking Ocean Cruises also takes a page from the rivers' playbook when it comes to creating itineraries that are destination-focused. Sailings combine marquee ports and out-of-the-way stops, with few sea days. Often, ships stay longer in port than the norm. The line brings onboard both destination experts -- who can speak on topics ranging from culture to geography -- and resident historians, who give lectures as well as host in-depth roundtable discussions and meet with passengers individually. The ships' chefs create menus inspired by each cruise's region. 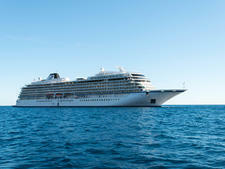 Passengers are generally English-speaking, well-traveled cruise veterans in the 55-and-older age bracket. They're active and want an itinerary packed with ports and ample time for meaningful exploration. Children younger than 18 are not allowed onboard. 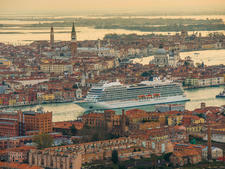 Viking Ocean Cruises, which debuted in 2015, currently has a fleet of five 930-passenger ships, with the possibility of 11 more identical ships to come through 2027. Viking Star, the first, launched in April 2015. It was followed by Viking Sea (2016), Viking Sky and Sun (2017), and Viking Orion (2018). Viking Jupiter will launch in 2019. The ships are designed by SMC Design of London. Rottet Studio in Los Angeles handles the interiors. In addition, two "special" Viking ships will be delivered in the spring 2021 and 2022. While details of what makes these ship different is yet to be announced, they will be built by Vard Holdings Limited -- a subsidiary of cruise-ship-building shipyard Fincantieri -- which specializes in LNG-powered and expedition-type vessels.